Under the guidance of engineer João Barranca, Portuguese motorcycle company Redonda is split into three divisions. 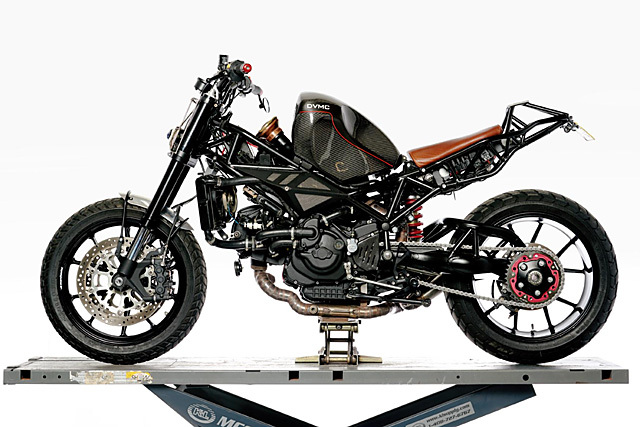 The first is Redonda racing, specializing in road and off-road race bikes, Eco-Redonda, which concentrates on customizing electric cycles and Redonda motors – heavily modified motorcycles that can be ridden every day. The last collection produced this Ducati Indiana scrambler – a distinctively beautiful take on an often forgotten Italian cruiser. Don’t feel bad if you haven’t heard of the Ducati Indiana – not many people have. In many ways it was a Cagiva rebranded in a spectacularly unsuccessful tilt at the American market. 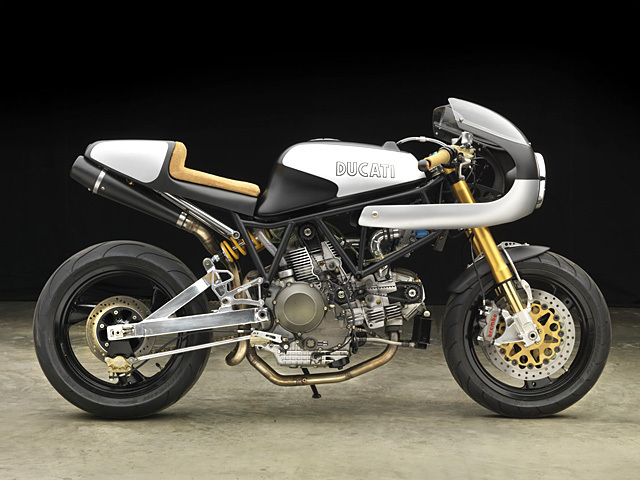 It can all be linked back to the late 1970’s when Ducati was haemorrhaging cash, partially due to the inaccessibility of their marque bikes and partially due to their production line alternating between ‘artisanal’ and ‘sheltered workshop’. The majority shareholder in the company, the Italian government, was keen to offload the brand and failing that, more than willing to shut it down completely. And there’s no better way to know you’re stuffed financially when even the Italian government is ready to pull the pin. In the Nineties Ducati brought back the Super Sport SS range that had been such a success for the marque in the seventies with the now enormously popular classics the 750ss and 900ss. But while there was nothing particular wrong with the 1990’s version the Monster and top of the line superbikes were dominating Ducati’s sale, perhaps if they’d built their SS like Moto Studio built “Racer 5” sales success would never have been a problem. ‘英’ is the Japanese Kanji character for ‘great.’ It also happens to be the character that the Japanese use for ‘England’. See, when Japan first properly met the British, the poms were in the midst of creating the modern world with their fancy Industrial Revolution. And for a country that had closed itself off to the outside world for over two centuries, Japan-san was clearly impressed. To Japanese eyes, British steam trains were technology from 200 years in the future; similar to you or I seeing a motorcycle from 2214. So what better name than ‘Great’ for a country that could do that? Kind of how we feel when we see the latest creation from dear ol’ Blighty. 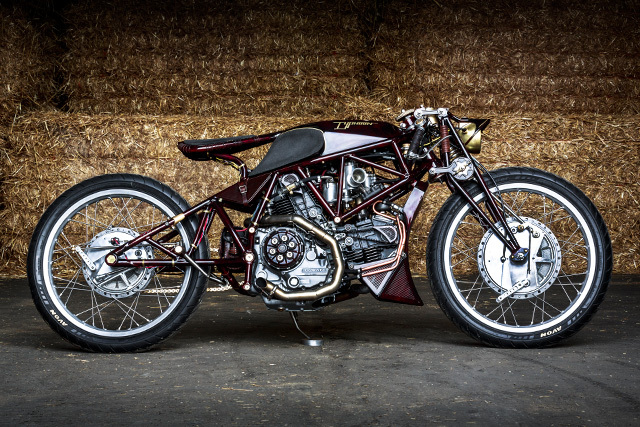 Introducing Old Empire Motorcycles’s latest revolution, ‘Typhoon’. When it comes to modern production bikes, it’d be hard to deny that Ducati have put some serious runs on the eye candy scoreboard. 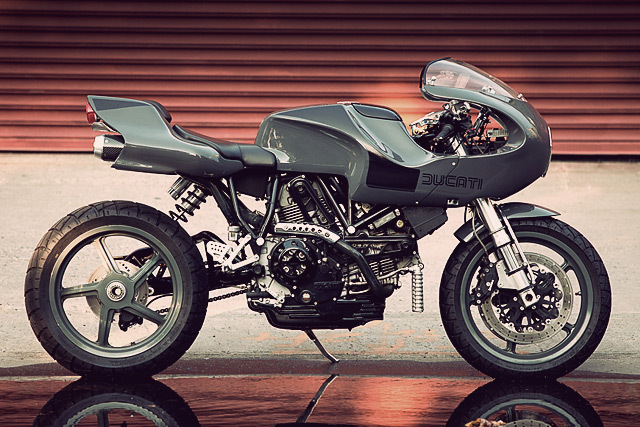 Whether it be in GT, Paul Smart, or even faired ‘S’ version, the Ducati Sport Classic is oft-cited as being the pinnacle of modern-meets-retro bike design. 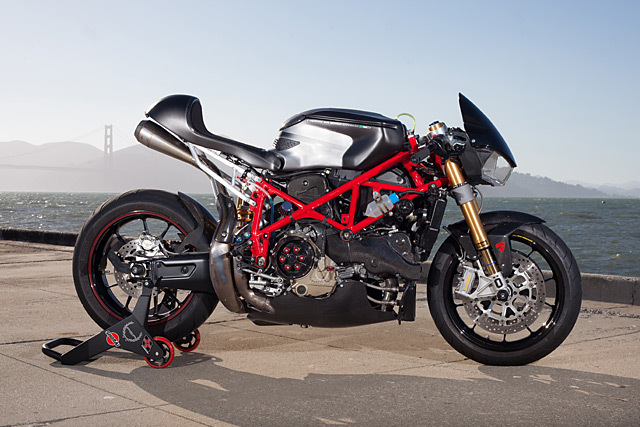 But let us remind you of another Pierre Terblanche Ducati design. This one’s a much rarer bird than the Sport Classic, but what it lacks in multitude it more than makes up for with the sheer boldness of its 70s-inspired design. 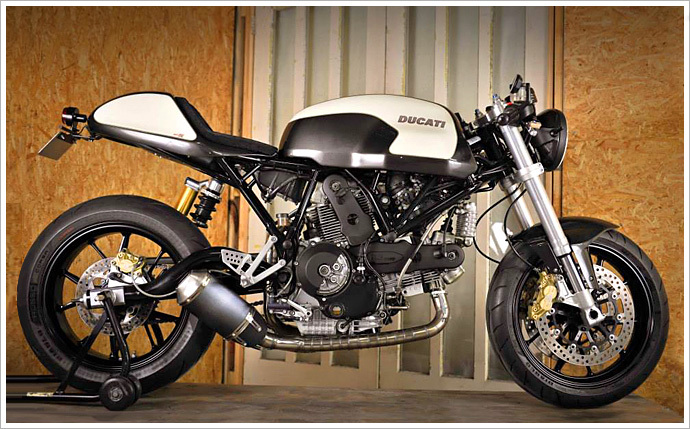 It’s the limited edition Ducati MH900E. And as if that wasn’t enough, this example has been tweaked to produce what we think is one of the best-looking bikes we’ve seen all year. 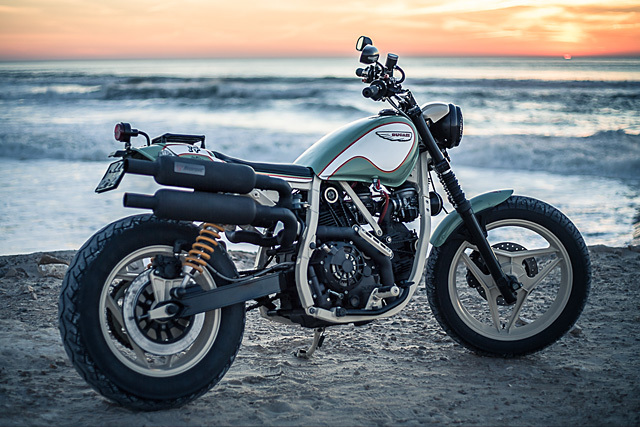 In the custom motorcycle world, there is a tendency towards ‘feast or famine’ when it comes to trends. 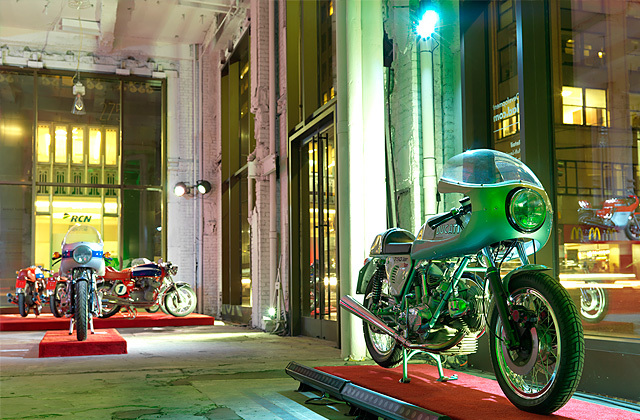 Modern Triumphs, classic Beemer airheads, and now the rise of the Ducati Sport Classic. Today’s feature bike is another take on this model, with the brief being that “the owner wanted the chubb taken off, but wanted it to visually remain a Sport Classic”. And ShedX were just the workshop for the job. 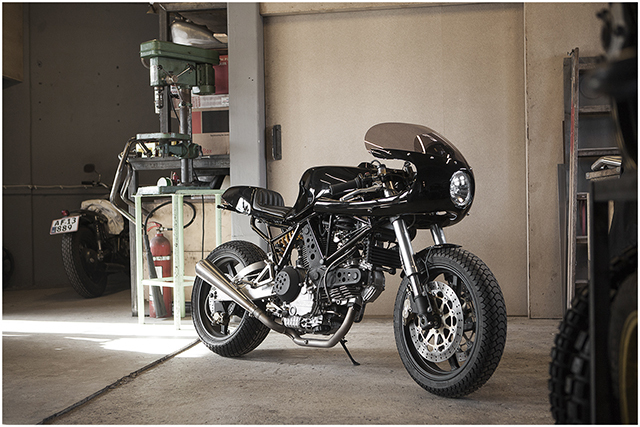 Keeping the lines given to it in Bologna, this ultra clean ride has been built to give the owner more of a sporting chance, without turning the bike into a track day special. 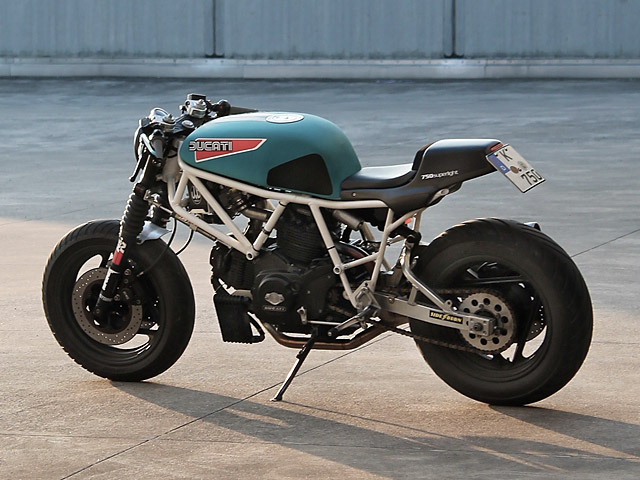 Utilising the Ducati parts bin, as well as their own product, Neil from ShedX has produced a beautiful bike that is much more ‘feast’ than ‘famine’.